Hot days are perfect water play days! Little Miss A loves getting wet so we often get out our tub for water play when the weather is nice. As soon as she sees the tub she starts taking her shoes and socks off to get in! Usually I just chuck in a few water toys but recently I've been experimenting with using ice. I wanted to see how Little Miss A would react to the temperature and texture! Firstly I made some coloured ice cubes. I just filled an ice cube tray with water and then added a couple of drops of food colouring to each cube before freezing. 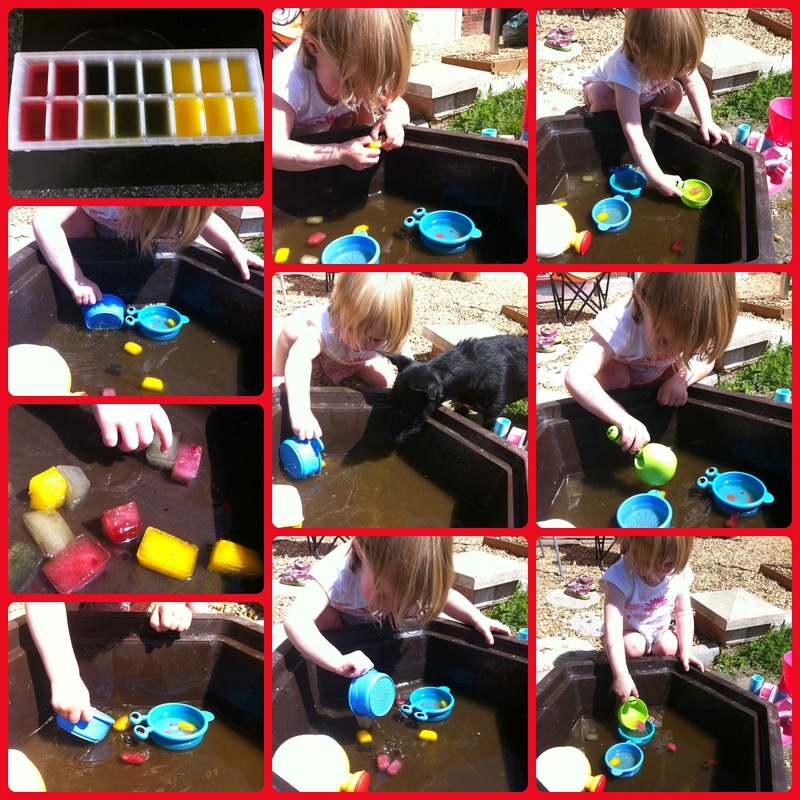 As it was such a warm day, the ice cubes didn't last long but Little Miss A did enjoy them while they lasted! She used her toys to scoop them up and play with them. The water started to change colour as the cubes melted so we swirled the water around a lot. Even the dog tried to get into the act! Secondly I froze some plastic farm animals in ice. I used some old plastic tubs I used to use for food when weaning Little Miss A. I put the animals in, filled with water and then froze them. These came out better than I expected. Little Miss A quickly recognised each animal stuck in the ice. Then we played around with them in the water as they slowly melted. It was a race to see which animal would escape first!! I was surprised by how much Little Miss A interacted with the ice blocks. Even getting into the tub to play with them as well as get them out and investigate them. 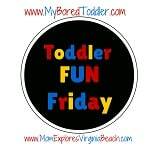 These are definitely two activities I will do again for Little Miss A. Just need to be organised and prepare the ice in advance, plus have room in the freezer! 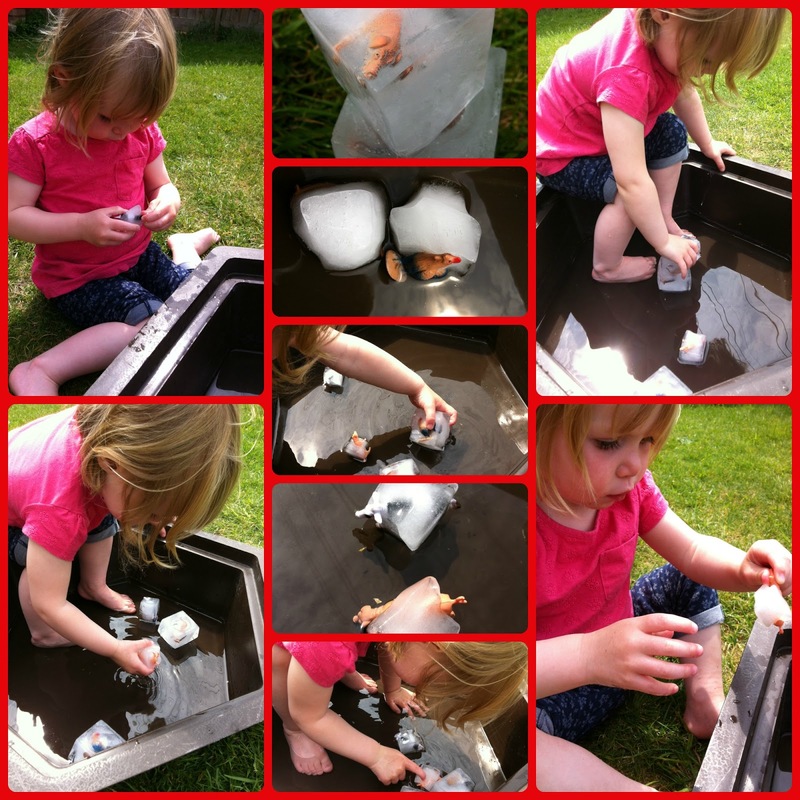 Also, by doing these activities we can tick off no.2 on her Things To Do Now I Am 2 list - Ice sensory play. This is the first year M has got water play and she just loves it. Must get her a water tub and do things like this. Thanks Training Mummy. Very easy to set-up so I recommend giving it a go! Oh, it's these simple activities are the best! I just bought some reusable ice cubes and animal ice packs so we might add those into the mix! Thanks Jennifer. Sounds like you've got the equipment already. It is great fun for hot days! Thankyou! Definitely a great activity for a hot sunny day!